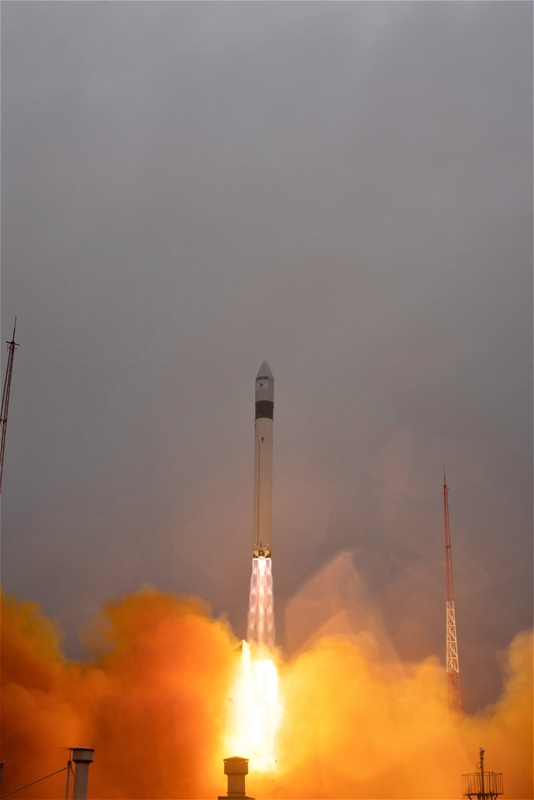 A Rockot (Russian: Рокот [Rokot]) three-stage launcher provided the boost into orbit for the European Space Agency’s newest environmental observation satellite, the Sentinel-5 Precursor – also known as Sentinel-5P. 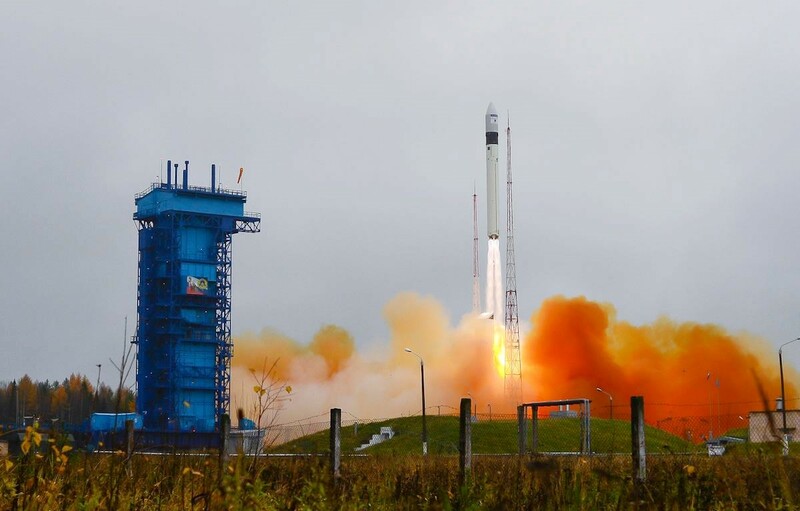 Liftoff occurred at 12:37 p.m. local time (09:27 GMT / 5:37 a.m. EDT) on Friday, October 13, 2017, from the Plesetsk Cosmodrome in northern Russia. 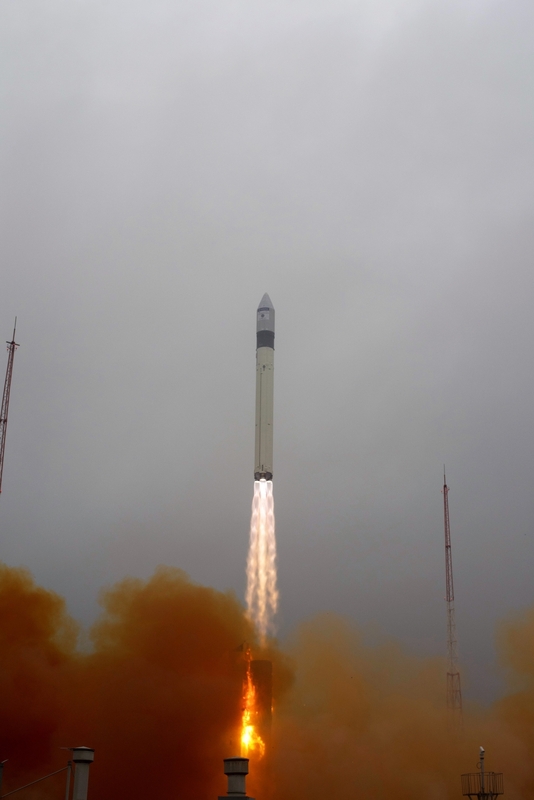 The Rockot launch vehicle is based on a UR-100N (SS-19 Stiletto) intercontinental ballistic missile that was developed in the 1970s. The Strategic Talks on Arms Reduction Treaty (START) that was implemented in the early 1990s allowed the use of the SS-19 missiles as civilian launchers. 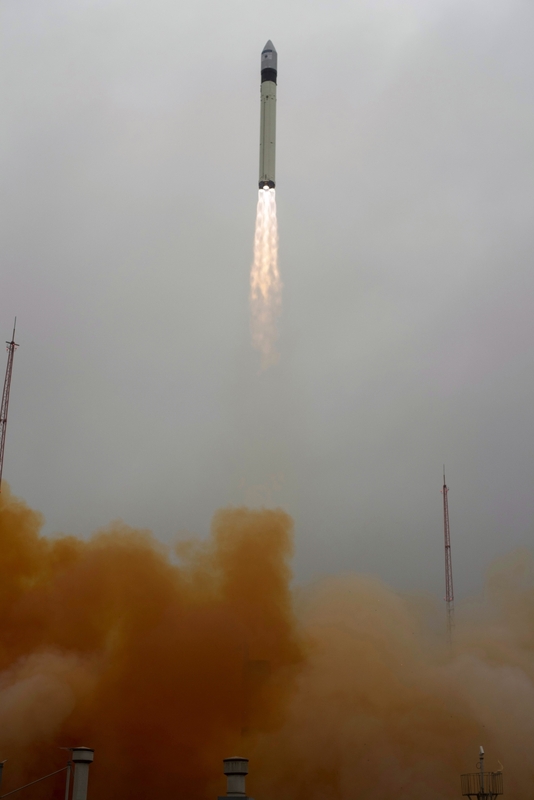 Since the SS-19 missile was decommissioned from active military service, the commercial “Rokot” derivative has launched a total of 30 times and has had only 2 failures, as well as one partial failure due to a Briz-KM malfunction after separation, making it a very reliable launcher. Utilizing the first two liquid-fueled stages of the SS-19 coupled with a modern Briz-KM upper stage, capable of multiple ignitions during flight, the launch vehicle is capable of delivering over 4,700 pounds (2,140 kilograms) of payload into Low-Earth Orbit (LEO). 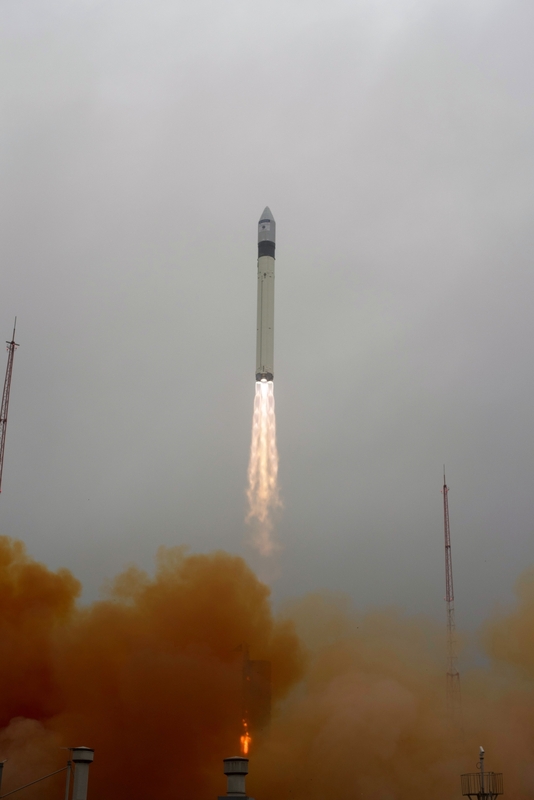 This was Rockot’s 27th launch since Eurockot Launch Services started providing the facility from Plesetsk in the year 2000, with 24 successes, two failures, and one partial failure. The Sentinel-5P spacecraft is dedicated to monitoring our atmosphere. The primary onboard instrument is called Tropomi. It will allow ESA scientists to identify and map a variety of trace gases such as nitrogen dioxide, ozone, formaldehyde, sulfur dioxide, methane, and carbon monoxide. All of these all of which affect the air we breathe and our climate. Josef Aschbacher, ESA’s Director of Earth Observation Programmes, said in a press release: “Having Sentinel-5P in orbit will give us daily and global views at our atmosphere with a precision we never had before. The 1,807-pound (820-kilogram) spacecraft has enough fuel and supplies for 10 years and is slated for a mission of at least 7 years. Sentinel-5P will orbit 512 miles (824 kilometers) above the Earth in a Sun-synchronous orbit. This orbit puts it in a loose formation with the NASA–NOAA Suomi-NPP weather satellite, orbiting just three-and-a-half minutes behind. The satellite will be capable of mapping the entire planet every day due to the 1,615-mile (2,600-kilometer) wide scan it makes. With a swath width of 1,615 miles (2,600 kilometers), it will map the entire planet every day. 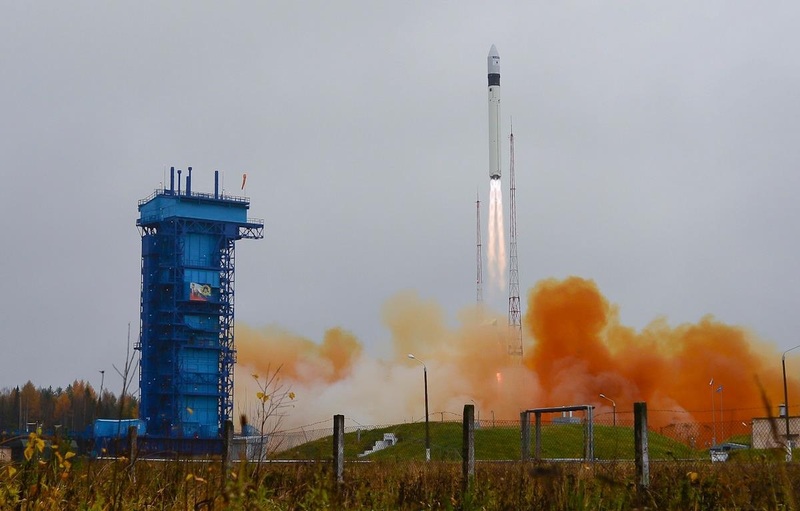 Information from this new mission will be used through the Copernicus Atmosphere Monitoring Service for air quality forecasts and for decision-making. 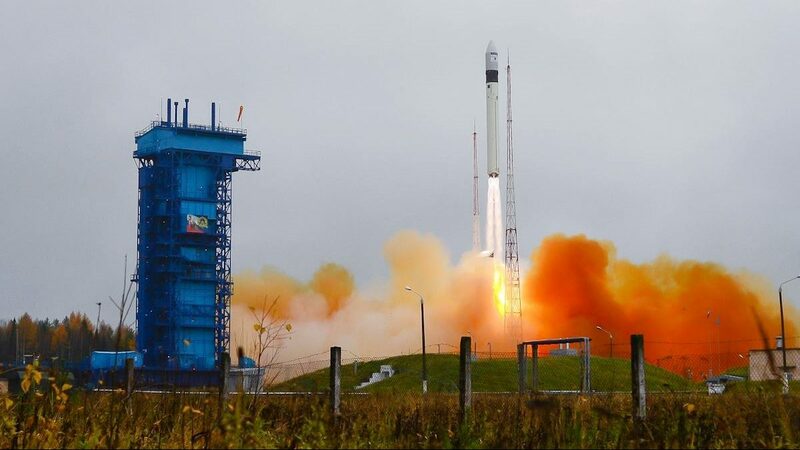 Sentinel-5P joins other Sentinels satellites already in orbit. The fleet of satellites provides data and imagery that will allow us to better understand what contributes to climate change and how we can make changes to slow those effects. The mission is anticipated to become fully operational six months from now. The program, formerly called the Global Monitoring for Environment and Security, is now known as Copernicus and is dedicated to Earth observation. ESA Director General Jan Woerner said: “Launching the sixth Sentinel satellite for the Copernicus programme is [a] testament to the extensive competence we have here at ESA, from its moment of conception to well into operations. This initiative is headed by the European Commission (EC) in partnership with the European Space Agency (ESA). Lloyd Campbell’s first interest in space began when he was a very young boy in the 1960s with NASA’s Gemini and Apollo programs. That passion continued in the early 1970s with our continued exploration of our Moon, and was renewed by the Shuttle Program. Having attended the launch of Space Shuttle Discovery on its final two missions, STS-131, and STS-133, he began to do more social networking on space and that developed into writing more in-depth articles. Since then he’s attended the launch of the Mars Science Laboratory Curiosity rover, the agency’s new crew-rated Orion spacecraft on Exploration Flight Test 1, and multiple other uncrewed launches. In addition to writing, Lloyd has also been doing more photography of launches and aviation. He enjoys all aspects of space exploration, both human, and robotic, but his primary passions lie with human exploration and the vehicles, rockets, and other technologies that allow humanity to explore space.